Clearfield, Inc. (NASDAQ:CLFD), the specialist in fiber management and connectivity platforms for communications providers, today announced that Kevin Kress, Clearfield Application Engineer, was appointed Chairperson of the Fiber to the Home Council Technology Committee. 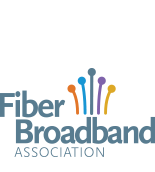 Light Brigade’s Certified Fiber to the Home Professional (CFHP) online training course covers everything from system components to business issues. Enhanced Telecommunications, Inc. (dba ETI Software Solutions, www.etisoftware.com) is proud to announce an extension of its relationship with Cincinnati Bell Inc. to provide a host of solutions through 2017, including a complex migration of commercial subscribers from T1 copper to fiber. ATMC has been recognized by NTCA–The Rural Broadband Association as a Certified Gig-Capable Provider for delivering gigabit broadband speeds and enabling technological innovation.